SMDRA hosts all sizes of events, ranging from small business after hours to large scale awards galas. All of our events are designed to be excellent networking events for our REALTORS® and Affiliates. SMDRA events are not funded by membership dues, but rather from a combination of sponsorship funds and ticket sales. Events requiring payment must be registered for or cancelled by the RSVP date. No refunds will be given after the RSVP date. SMDRA strongly encourages RSVPs ahead of time for free events, so as to accurately predict headcount for food/beverages. Many of our events offer sponsorship opportunities for our trusted Business Partners to market to and network with REALTOR® members. Event Sponsorships are a set dollar amount, with a set amount of corresponding signage, exposure, and event tickets. For additional information about event sponsorships, please visit our Corporate Sponsorship page, or contact Kayla Vice at kayla@smdra.com. For additional EVENT related questions, please contact Adrianna Franklin at adrianna@smdra.com. DESCRIPTION: It’s right in front of you to experience; the life you can see, the business you hope for. Just a little more discipline? A few more phone calls? Maybe. What really holds you back from living the life and running the business you have envisioned so many times, but feels so elusive? No, you can’t blame the market, other agents, your family or your clients. If you are honest with yourself, you see the same challenges across your business, your health, your relationships, your finances. And, it can be different. And more importantly, you can feel different, every day. You will walk out of this seminar believing in yourself more than you ever have. You will be fired up and ready to conquer and be armed with real tools to achieve. Come spend 3 hours with us and find out what’s possible for you, learning from two proven experts. Discover the mindset it takes and implement strategies for success. This time. Business coach, Human Performance coach, entrepreneur and behavioral science junkie, Matt has dedicated his life to helping people discover and live extraordinary. The father of two amazing kids, husband to the love of his life, industry proponent of excellence, owner of multiple businesses and ex-professional athlete who comes from a small farm, in a small town, on a small island. Matt brings a thoughtful, insightful and unapologetic delivery of what success, and living a meaningful life takes. After 2 decades as one of Denver’s top producing originators and mortgage industry executives, Adam Hebener lives a life of gratitude. 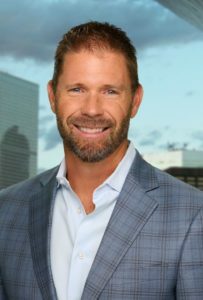 He is a sought-after industry expert and entertaining speaker, the co-founder and owner of Modern Mortgage, LLC a new and disruptive force for good in the Denver mortgage world, the father of 3 little boys and the husband of an out-of-his-league woman. Adam brings an insight and enthusiasm to each of his endeavors with a contagious attitude that has attracted some of the industry’s professionals and team members. DESCRIPTION: Join us to hear Scott Peterson, General Counsel for the Colorado Association of REALTORS® give his overview of the top ten legal/risk management considerations currently impacting real estate licensees. The session will be filled with tons of useful information and plenty of opportunities to ask your questions. Seating is limited, be sure to register online and reserve your seat at this very popular event. 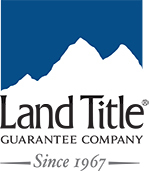 Scott is an experienced real estate and business professional with an extensive background representing individuals and companies on a broad range of matters. 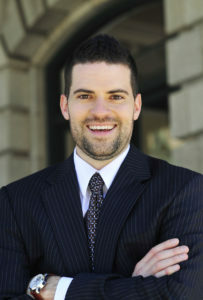 He currently serves as General Counsel for the Colorado Association of REALTORS® (CAR). 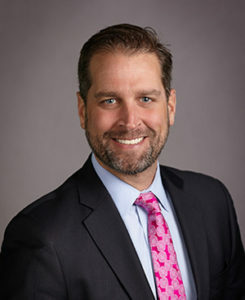 As General Counsel, Scott is responsible for advising the CAR Board of Directors, Leadership Council and CAR Staff on legal matters related to the Association’s business. In addition, he provides legal support and education directly to CAR members and the state’s local REALTOR® associations through the CAR Legal Hotline and education events. Finally, Scott advocates for the Association and REALTOR® interests in legal matters involving third-parties such as vendors, contractors, and state regulatory agencies.